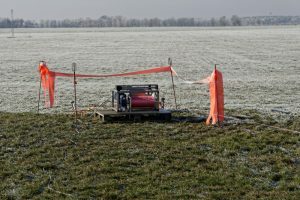 From mid-January to mid-February, a field campaign is running at the TROPOS station Melpitz near Torgau to prepare for the MOSAiC expedition. 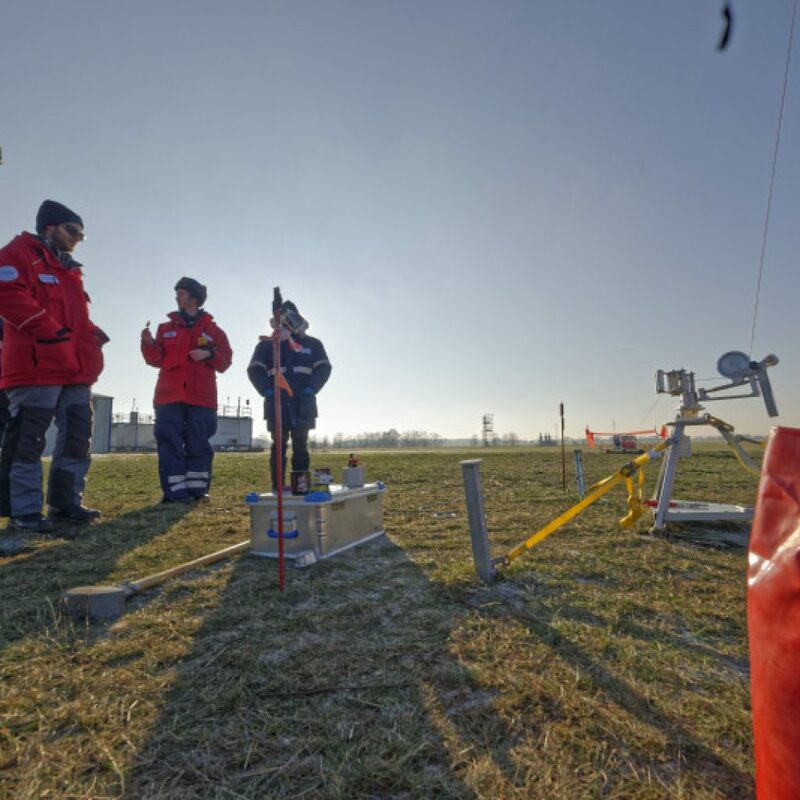 Starting in autumn 2019, the German research icebreaker Polarstern will drift through the Arctic for one year under the direction of the Alfred Wegener Institute (AWI). 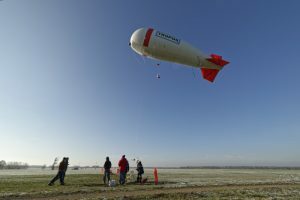 Supplied by further icebreakers and aircraft, a total of 600 people from 17 countries will take part in the MOSAiC expedition. 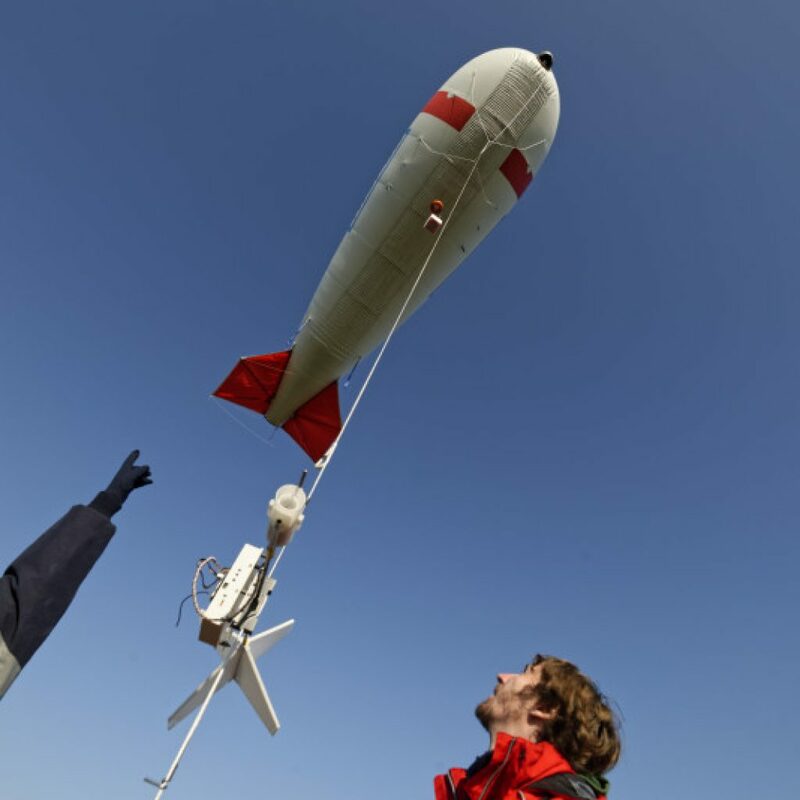 Science hopes that the expedition will provide new insights into climate change around the North Pole. 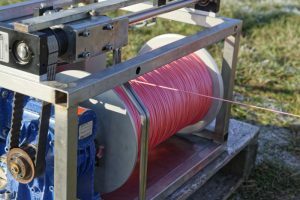 There is a lack of data from the region, especially in the polar winter, as hardly any researchers have been there at this time of year. 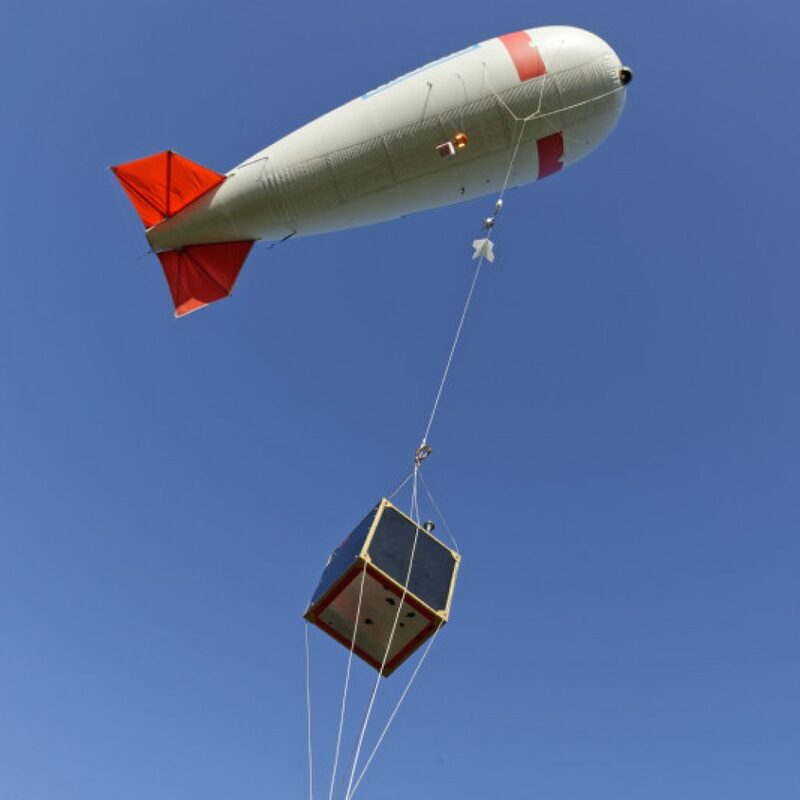 TROPOS will play a leading role in two central measurements: Firstly, a remote sensing container for the entire ice drift will continuously explore the vertical aerosol and cloud distribution using lidar, radar and microwave radiometers. 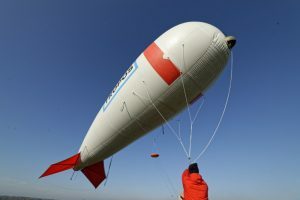 On the other hand, a 90 cubic metre tethered balloon on the fourth of six sections will bring several measuring systems up to an altitude of 1500 metres for two months in summer 2020 in order to measure the Arctic air layers close to the ground as accurately as possible. 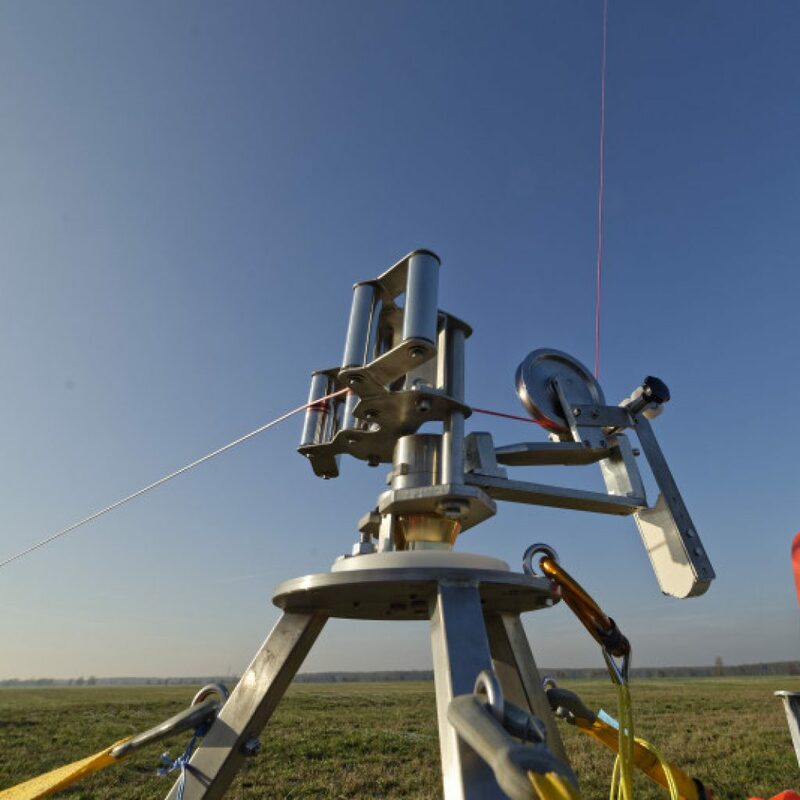 To ensure that everything runs smoothly there, the Leipzig team is now training the assembly and disassembly of the tethered balloon including the attached measuring technology in Melpitz in winter. 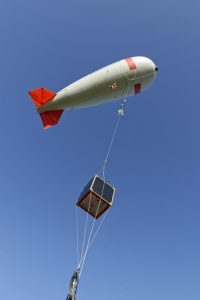 Among other things, turbulence, aerosol and radiation measuring devices are tested, which are used in parallel in various combinations on the large captive balloon. 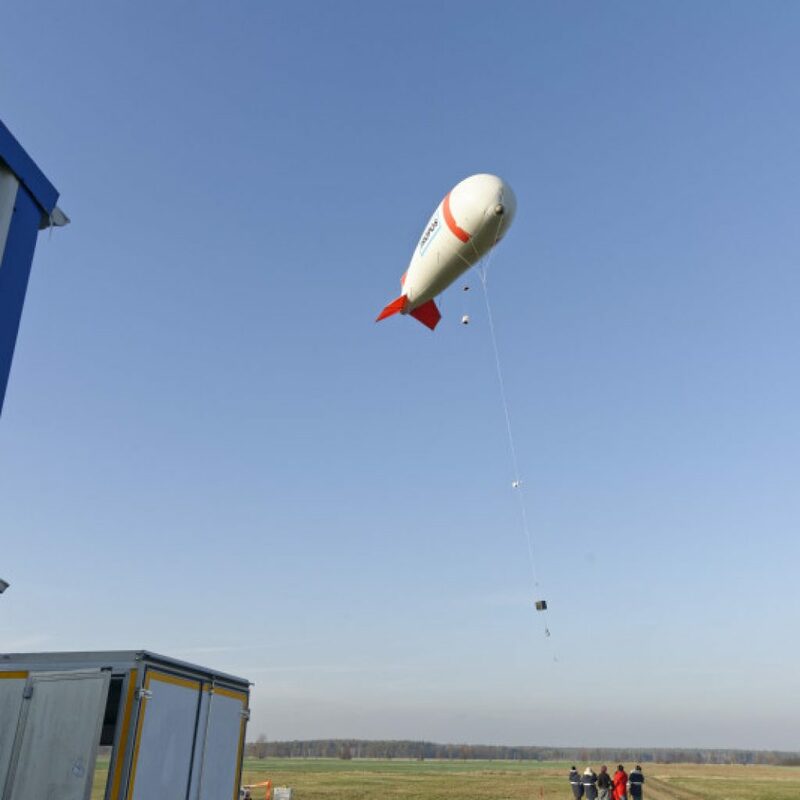 In addition to TROPOS, the Institute of Meteorology of the University of Leipzig is also involved in the tests, which will continue the radiation measurements on the 5th section of MOSAiC with a smaller balloon. 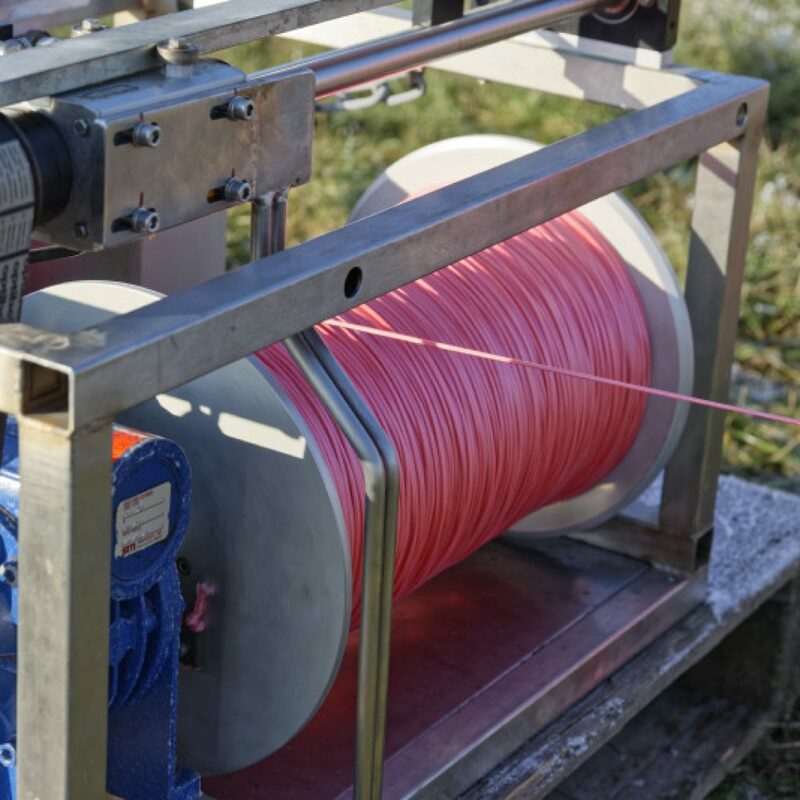 The winter weather tests not only provide important insights into whether the technology is robust enough for use in the Arctic. 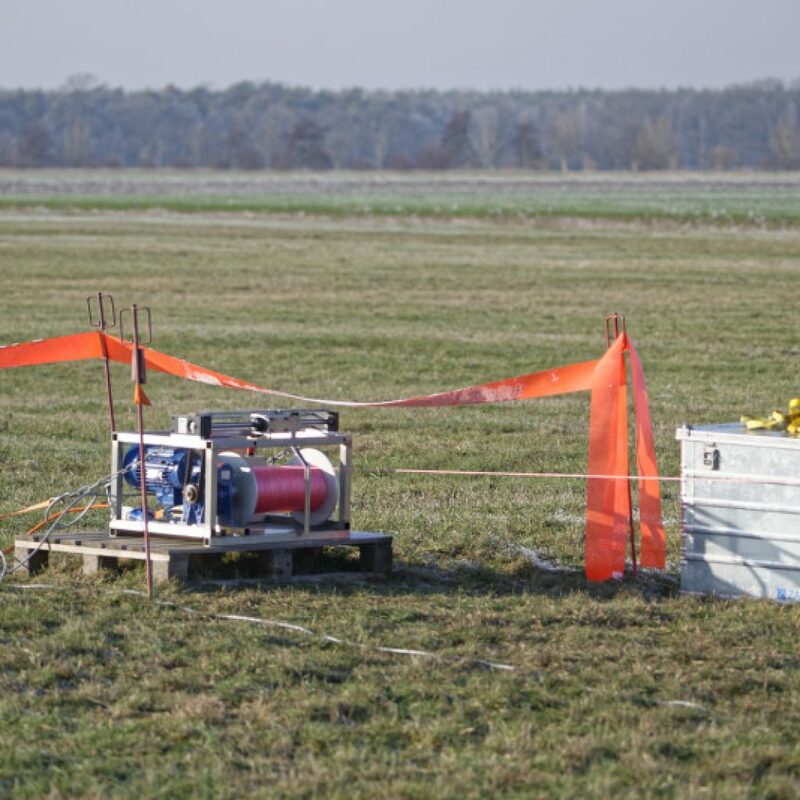 They will also help to embed the measurement data from the balloon in the comprehensive overall measurements. 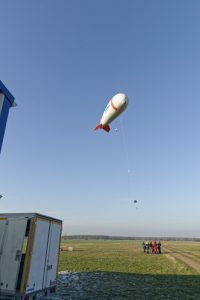 The data from the balloon will be combined with the stationary instruments on the ground and with remote sensing data. 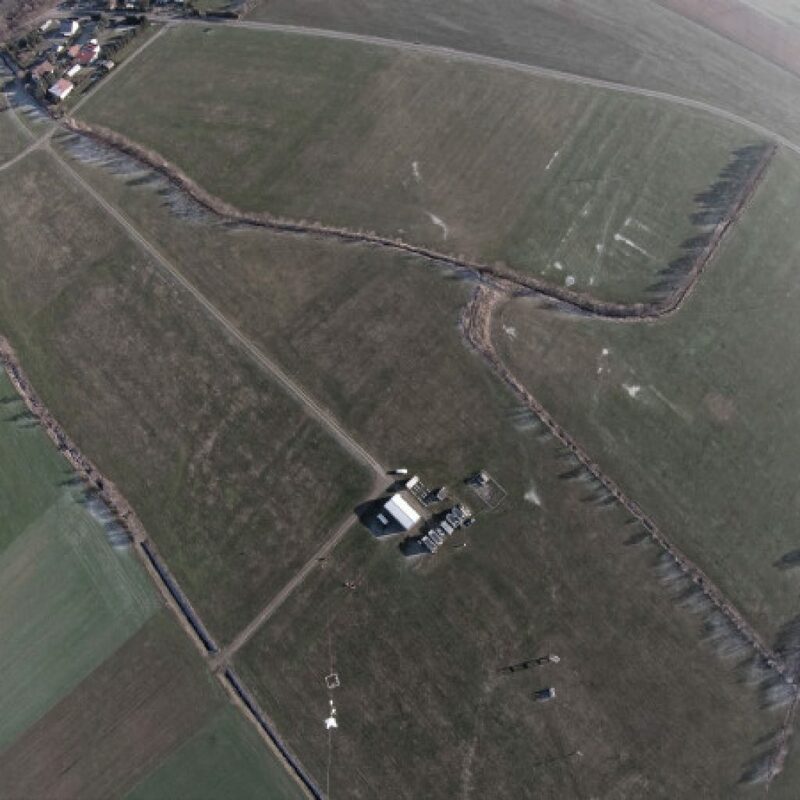 In Melpitz, TROPOS has been studying the atmosphere for over 25 years, which is a great help in assessing the quality of the balloon data. 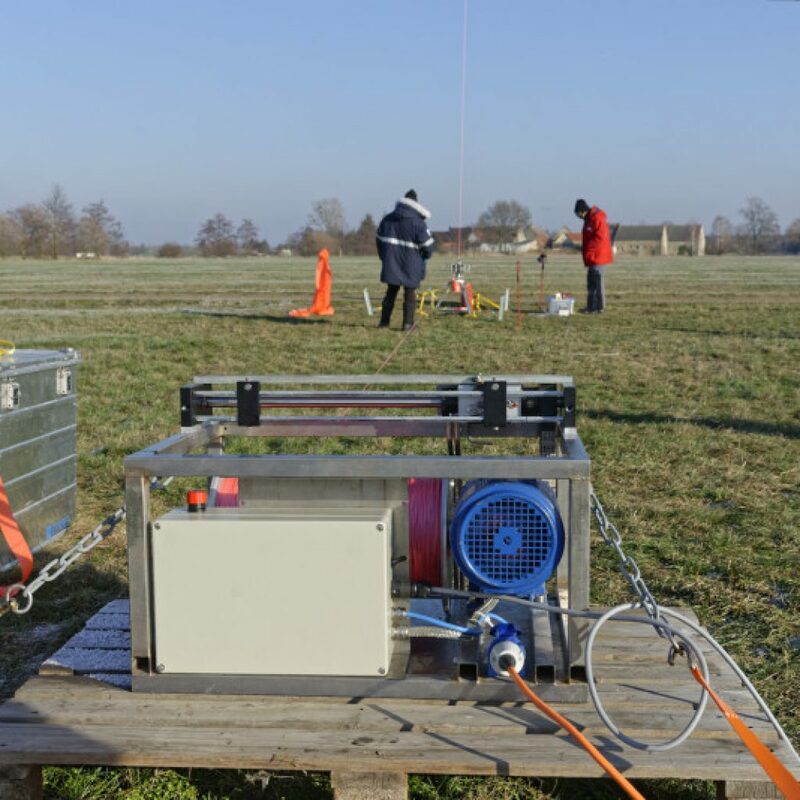 In concrete terms, this involves questions such as: Are in-situ aerosol measurements near the ground representative of the atmospheric boundary layer? 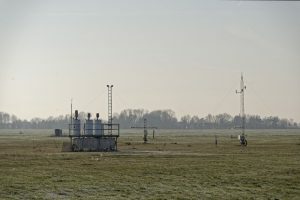 How exactly can the characteristic vertical distributions of the aerosol be determined? 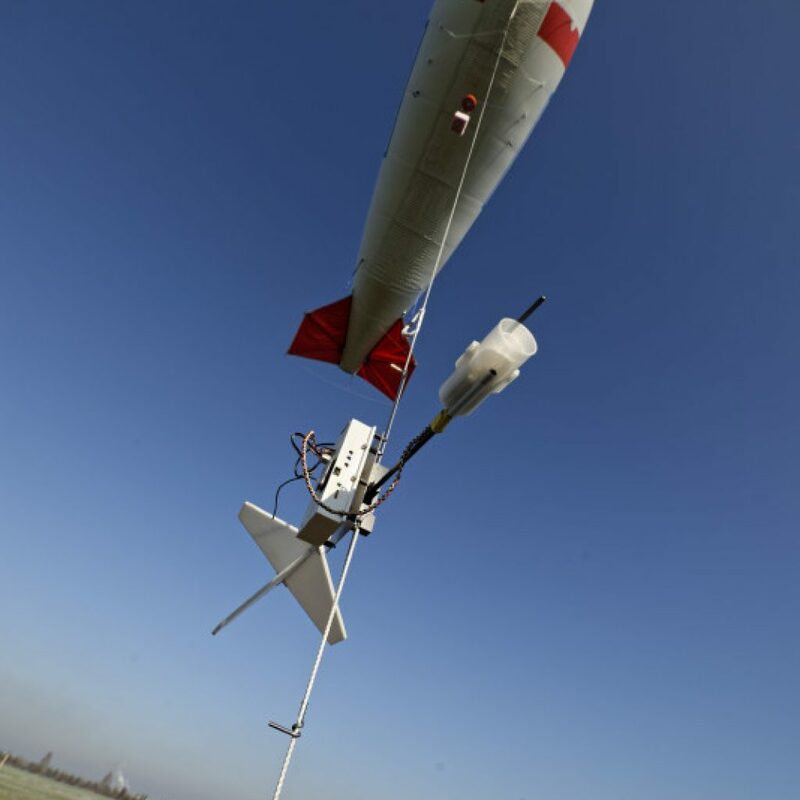 Does the dynamic boundary layer structure correlate with the vertical profiles of the aerosol in terms of concentration, mass and chemical composition, as well as the radiation profiles? 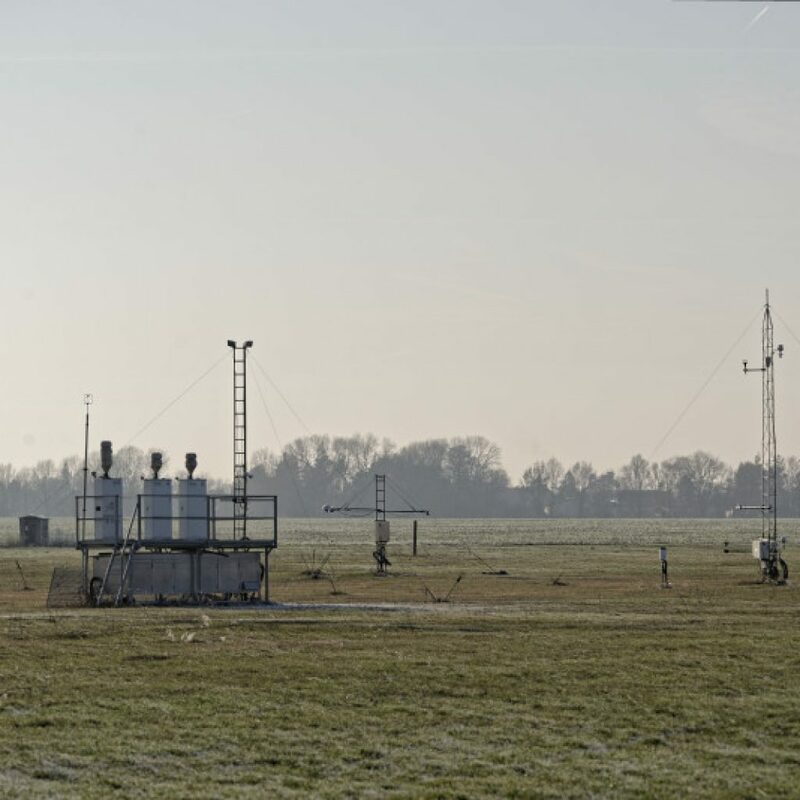 How important is the comparison with remote sensing data of the aerosol profiles? 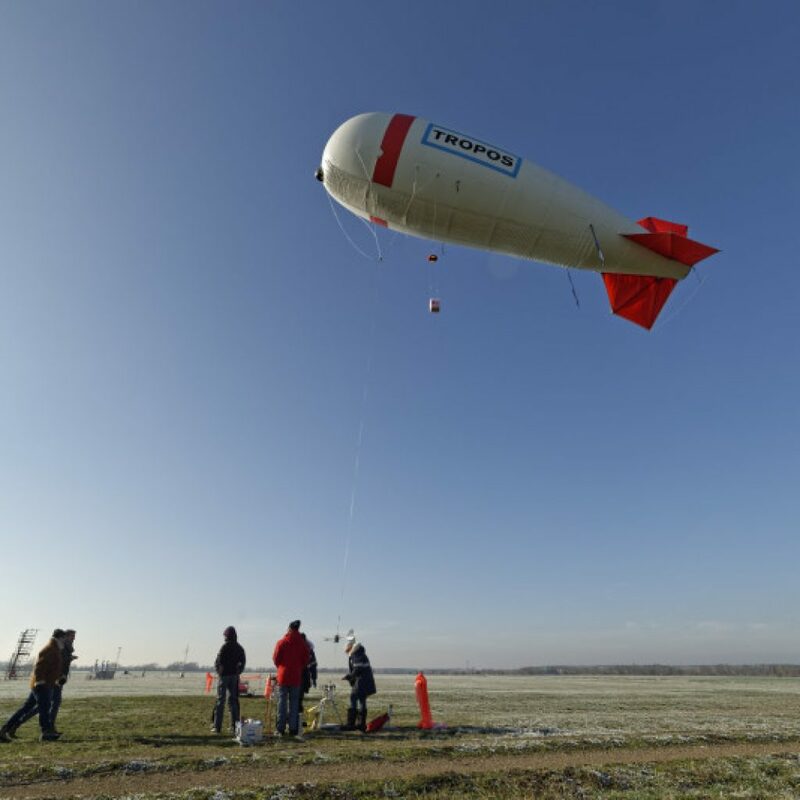 The MOSAiC expedition will thus not only provide new insights into soot and air pollution in the Arctic, but also into the role of particles and clouds in global warming around the North Pole. 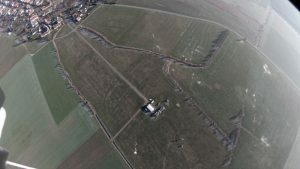 Since 2016, the Collaborative Research Centre TR 172 “Arctic Amplification” of the German Research Foundation (DFG) has been investigating why the Arctic is warming much more than the rest of the Earth and how much climate change in the Arctic affects the weather in Europe. 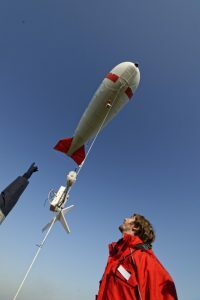 In addition to the University of Leipzig, the research network also includes the universities of Bremen and Cologne, the Alfred Wegener Institute, the Helmholtz Centre for Polar and Marine Research (AWI) and the Leibniz Institute for Tropospheric Research (TROPOS) in Leipzig. 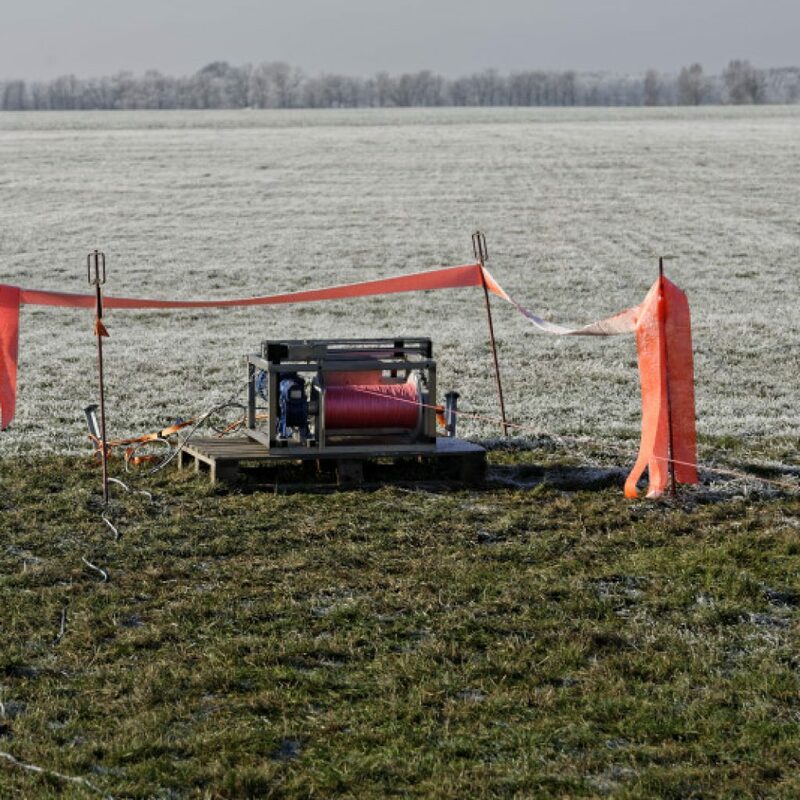 In addition to the measurement of meteorological standard parameters such as pressure, temperature, humidity and wind, which are also necessary for the safe operation of the balloon, two different payloads are available for turbulence. 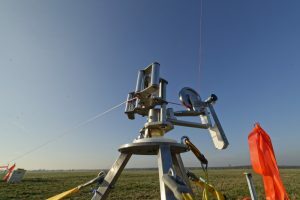 With these systems smallest wind and temperature changes are measured, which are important for the vertical exchange and the mixing of the atmosphere. 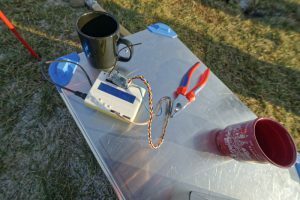 With a newly developed box, which contains various measuring instruments, data on the contamination of the Arctic with aerosol particles can be obtained. 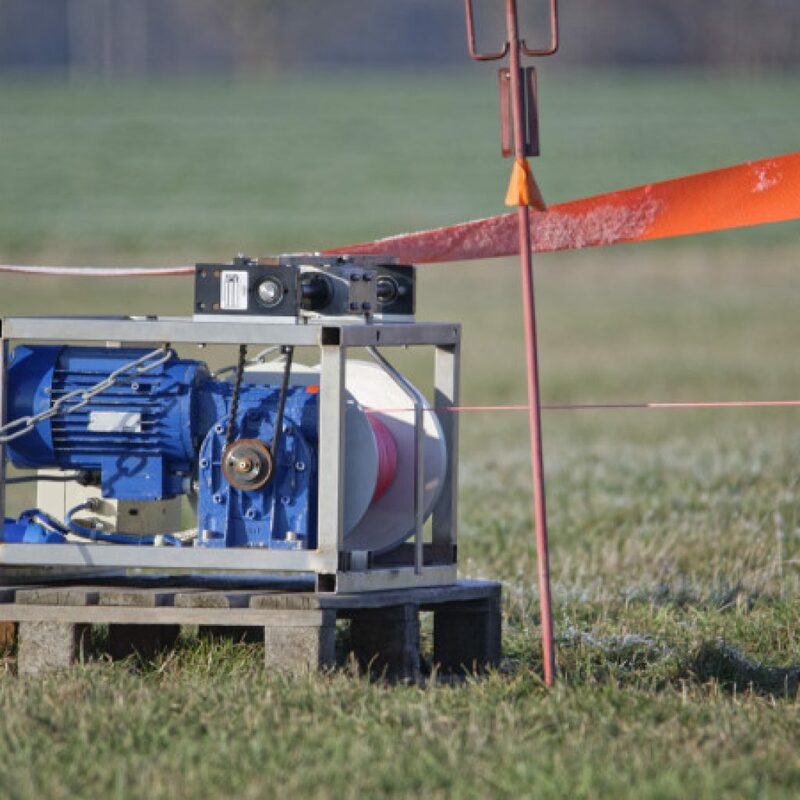 These include two particle counters which can detect the smallest particles with a diameter of 10 nanometres and which are used to find out where these small particles are formed from gases in the Arctic. 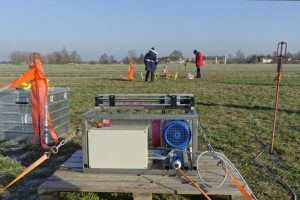 Another device measures the size distribution of larger particles, from which the total mass of fine dust can then be calculated. 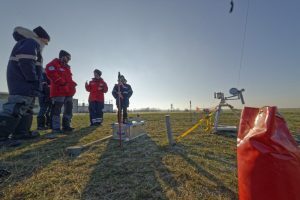 Furthermore, the concentration of soot particles is measured in order to draw conclusions about their transport routes and to better understand their influence on the Arctic climate. 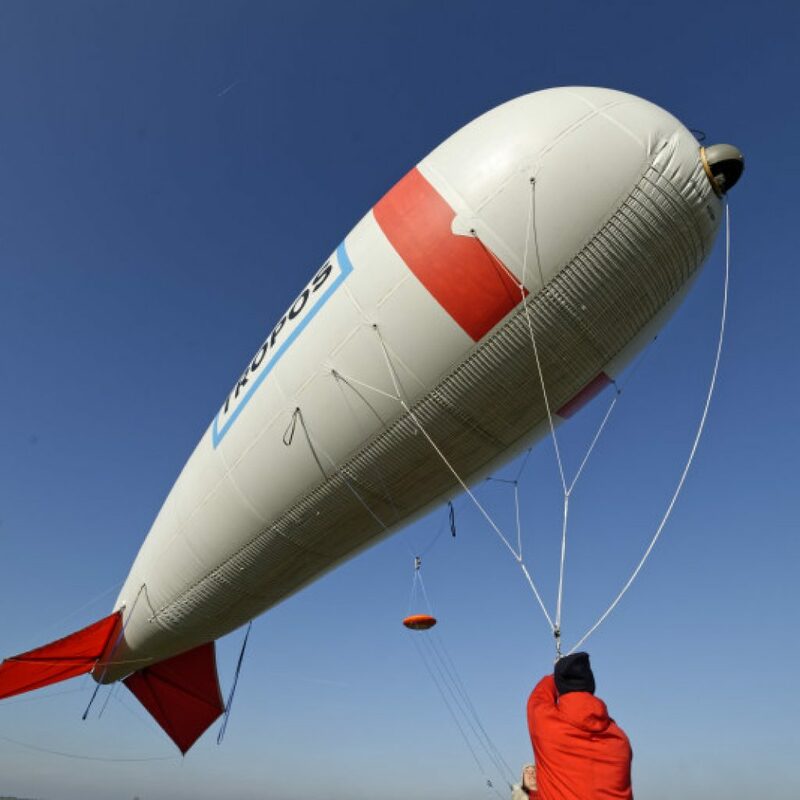 Two newly developed cloud water and filter collectors will be tested on a balloon for the first time as part of this campaign. 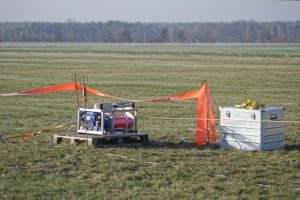 These water samples and filters will later be evaluated in the laboratory with high-precision sensors which would be much too heavy for use on the balloon. 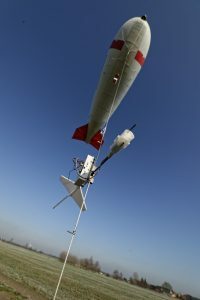 A key function in Arctic reinforcement is played by low-lying clouds. 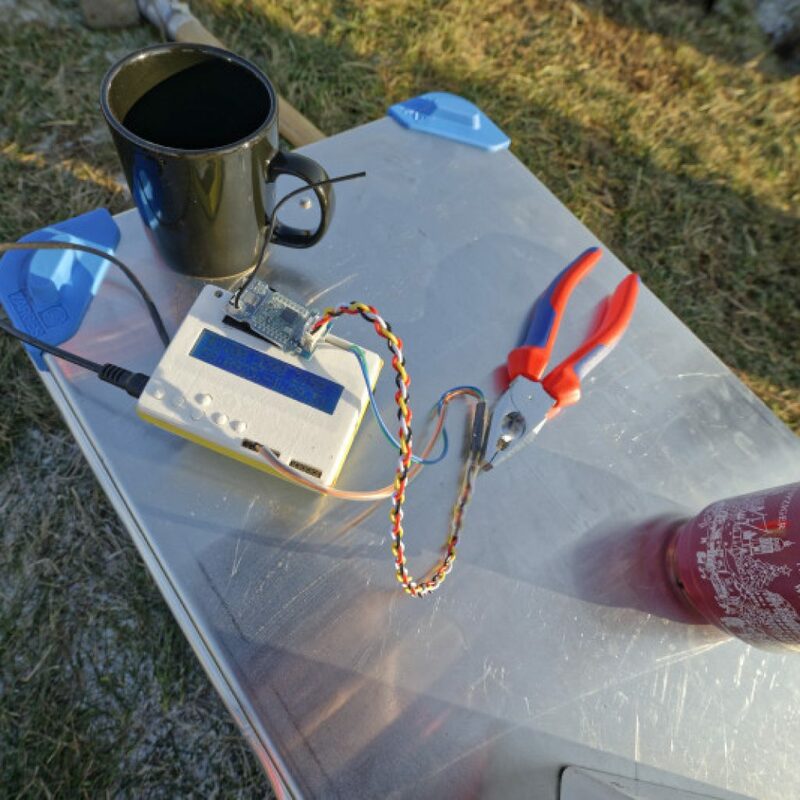 By means of the radiation measurements we want to characterize the cooling at the upper edge of the cloud in order to better understand how this cooling affects the dynamics and thus the service life of the cloud. 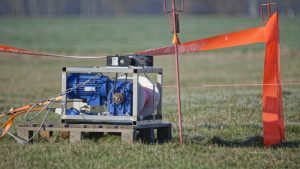 Furthermore, it is possible to investigate under which conditions clouds in the Arctic have a warming or cooling effect on the ground.